Graduate Aptitude Test in Engineering (GATE) is an all India examination jointly conducted by the top premier Indian Institutes (Indian Institute of Science and seven IITs (Bombay, Delhi, Guwahati, Kanpur, Kharagpur, Madras and Roorkee) on behalf of the National Coordination Board-GATE, Department of Higher Education, Ministry of Human Resource Development (MHRD), Government of India). 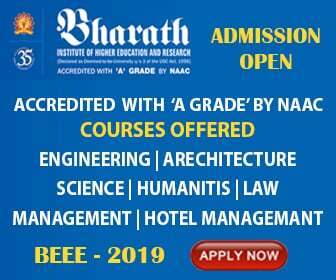 GATE helps in providing admission to the undergraduate candidates seeking admission in various Post-Graduate engineering and technology courses. IIT Roorkee will be the organizing institute for GATE 2019. For more info related to GATE 2019 Computer Based Test and MOCK TEST Sample, Check out this Video. Admit Cards will be available from January 05, 2017. Result for the same is scheduled for March 27, 2017. The GATE 2017 Examination paper will be of 180 minutes duration. The exam will automatically stop at the end of 180 minutes. The Question paper consists of two sections: General Aptitude (GA) and the Subject specific GATE paper, with the total of 65 question carrying 100 marks (GA will contain 5 questions for 5 marks and the GATE paper will have 55 questions for 85 marks). The questions will be of Multiple Choice Question (MCQs) type and Numerical Answer type. The MCQs will have Negative marking whereas Numerical type will have No Negative marking. Candidates are required to go through the general instructions, symbols used in the test and understand their meaning before starting the exam.